OT intervention with written production is a frequent goal when working in the school system. It is a primary method of expression for students with greater emphasis in the Common Core Standards for students grades K-12. Supporting students with the ability to handwrite and produce written work required of their curriculum needs to be a part of our focus when supporting students with special needs. When working with primary aged students during free writing situations, using writing prompts or pictures is one method to motivate them to generate ideas and put their thoughts into words whether handwriting, word processing or through oral expression. 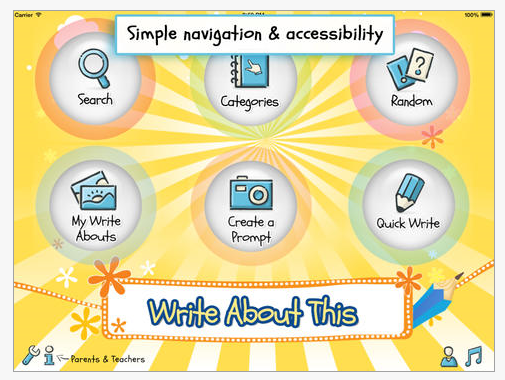 The category button provides a variety of topics, each with dozens of pictures to chose to generate ideas for writing. 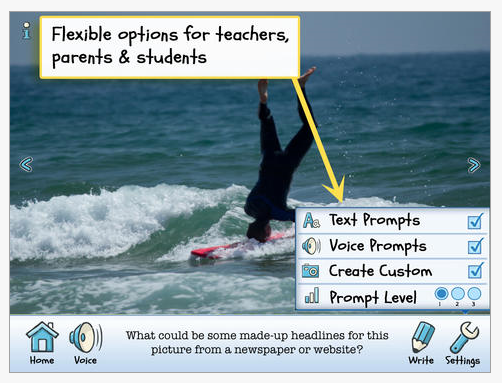 In the paid version, the option to take and use your own pictures further customizes the options to motivate a writer and offer personal experience prompts. Voice recording prompts and recording features in the app provides options to differentiate to the needs of individual students. Using a 3rd party keyboard on the iPad, such as the Keeble app, can provide additional support such as word prediction, text to speech or customized keyboard layouts to a writer within the app. 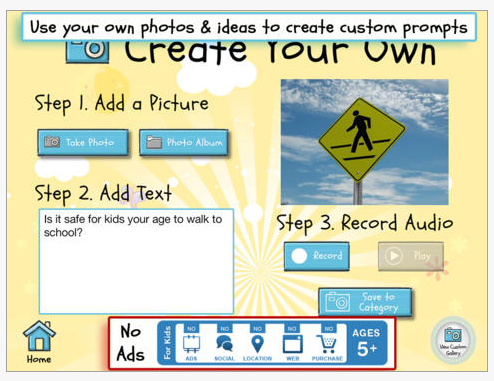 Although a word processing and creation app, I often find myself using Write About This app a quick resource to primary aged pictures when working on handwriting on a one to one basis. The Write About This app free version provides picture prompts but no camera access to take pictures from within the app. Other customization features are not available but provides a trial of the app. 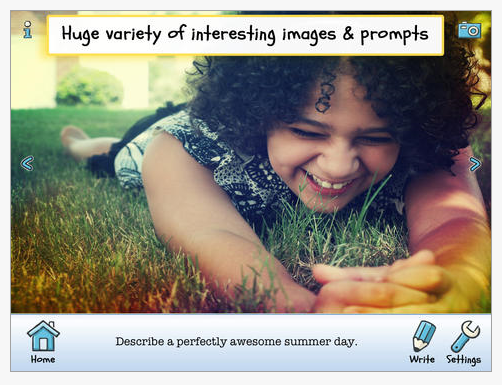 Check out Write About This app as another tool for your OT mTool Kit! 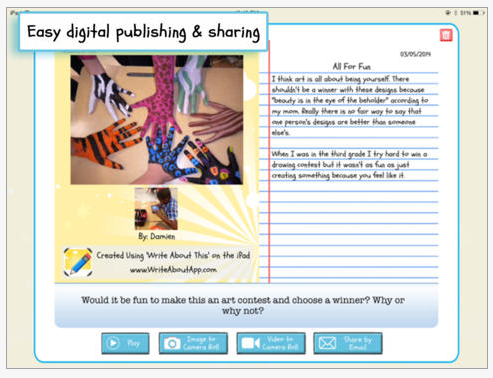 What is your favorite writing prompt app for primary aged writers?